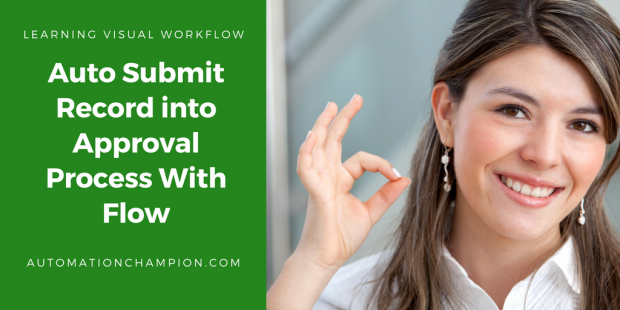 The disadvantage of this manual process is if the user forgot to click on Submit For Approval button, it won’t auto send records into the approval process and it may possible sometime it will skip the approval process. Higher management at Universal Container wants to a develop a way so that the record will be auto submitted into the approval process without any manual intervention. In this article, I will try to automate Opportunity approval process. I assume that you have an active approval process on Opportunity object. You can solve above business requirement using Apex Trigger easily, but my main aim is to solve this without using any code. In Summer’14 (Pilot Program) release Salesforce introduce one new Static Action called as Submit For Approval. We will use this static action and Workflow rule to fire Flow Trigger. 2) Click on New Flow, it will open flow canvas for you. 3) Create One text type variable RecordID (to pass a record ID from workflow via Flow Trigger). 6) Save the flow with name ( Submit for approval ) and Close the canvas. 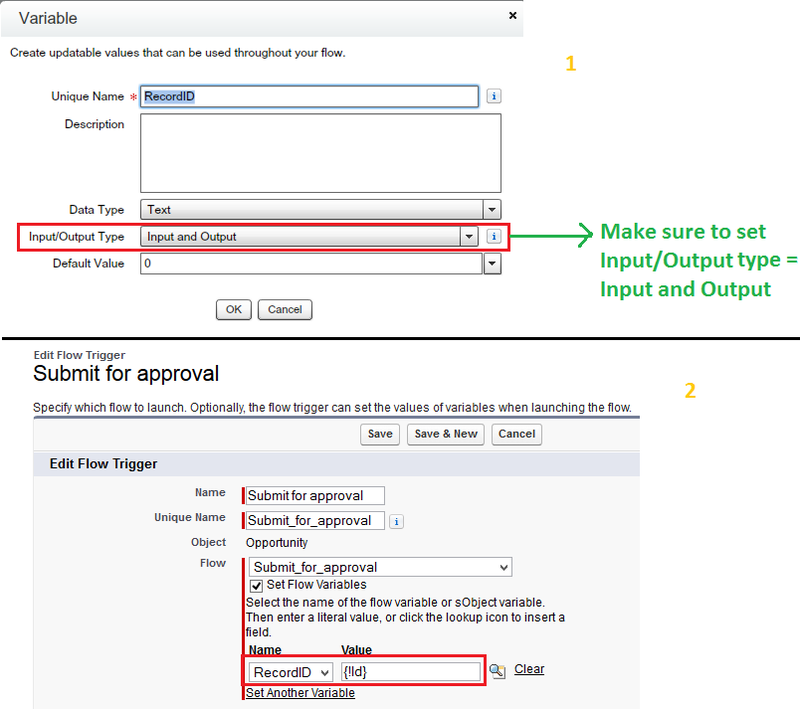 1) If you selected “Let the submitter choose the approver manually” option under step-3 (select assigned approver ) then this flow will not work in another word you can’t automate approval process. By mistake, if you automate ( When selected approver manually) then you will get this error “No applicable approval process found“. Any chance we can make requests to see you do this with the new lightning flow? I would like to kick off a flow to determine which approval process it enters based off of profiles and criteria. I am a little lost and know that this is a great solution if I could just get it right one time. This is really great and you made it easy. When i tried to search something on this error – i found that this is a known issue. Is that so? If so, any alternate solution for this? Use Debug log to identify the route cause. thanks for this article. it’s really helpful. but i am not getting “flow trigger” action in workflow rule.will you please tell me how can i do that. from where to contact salesforce to enable this for me. Can you please post or email me your Flow and Process Screenshots ? Just wondering though if it is also possible to view the Submit for Approval button for the ServiceDesk Staff or it just available for the Admin? We have used the auto submit for several months now and it works fine, except when the second approver has rejected the request…… When the project is rejected, edited and saved again, we would like to have it auto submitted again. At this moment we have to click the button “submit for approval”. Could you please advice me? Yes it’s possible to auto submit again after rejection, but I didn’t get what is means of edited and saved ? Hi, That’s exactly what I ment. Rejected, and after that auto submit. At the moment we have to click the button ” submit for approval”. I just wanted to say thanks! Worked perfectly for me and opened my eyes to the wonder of headless flows. Once done click on Save button. I am also getting the same error mentioned above by Carola. You have to set the start point in your Flow. Please see the step 5 carefully, you can see green arrow (like wise you have to set start point in your flow). You mentioned about one error in consideration. In my approval step, approvers are added automatically (two static users). But still am getting same error when the entry criteria or process step criteria does not meet. What kind of error you are getting ? I don’t have the ability to use flow with an immediate WorkFlow action. Flows has been enabled for my sandbox org. What could I be doing wrong? Are there any input/output definitions I need to set on the Flow canvas? Could you please post a screenshot ? Am using a Developer org and it is upgraded to Winter 15. But I don’t see the option “New Flow Trigger” under “Workflow and Approval Process”, although able to create the Flows. This feature is still under pilot program #safeharbor. If your organization wants to enable this feature ask your Account executive to contact Salesforce.com support. Thanks Rakesh for your response. I understand we have a AE for non-Dev orgs. For the Dev orgs, whom should we reach out to? Is there any support site where we request the feature to be enabled to? No, Salesforce Stops Supporting for Developer Editions. The good news is after spring’15 release Process Builder is going GA. I don’t have the ability to use flow with an immediate WorkFlow action. Is there another option to call the flow? -WorkFlow action using the outbound message? -Custom button using the flow url? Outbound message seems like it would be my preference. To enable this feature (call Flow through WFR) you have to raise a case with Salesforce.com support. Meanwhile there are other ways to call the Flow is using custom button, custom url or through VF pages. Thanks, I saw that in a earlier comment of yours, so I’ve done that already. Still I don’t see the fields to select name and value ( I see them in your second screen). So I went to check out the flow and whe n I click on “run” it says “your flow doesn’t have a start element. I can’t insert print screens in this comment field. I have put them into a word doc, but I don’t see anything to upload them…do yoy have an email address? I was very happy to read your blog, because it can save my collegues thousands of mouseclicks. I want to use it for submitting our custom object “project”, after it has been edited and saved, automatically into the approval process. When I create a workflow I don’t have the option to select “new flow trigger”. This feature is still under the pilot program. Ask your account executive to get in touch with Salesforce.com support to enable this feature for your org. Salesforce has enabled this feature in my org. That’s really great, but still I’m doning someting wrong. I have made the flow, with the variable which I have created. Does the variable need to be input, output or input/output? Does it have a defalut value or just blank? After that I have made a workflow. 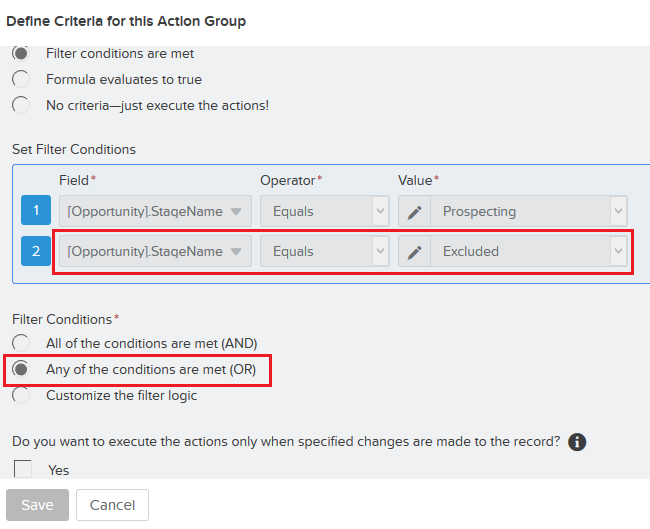 At the step “immediate workflow actions” I’m able to select “new flow trigger” but I dont’ see the field where you can set the flow variable…..
Or do I have to choose for excisting action? but then I can’t choose a flow trigger. Many many thanks for you help. 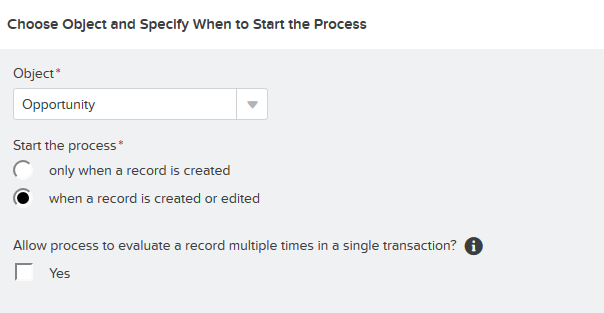 I am trying to create a flow to automatically submit a Contract record into the approval process. I got added to the pilot program and the static action is there. However I dont have the option to set the flow variables in my workflow trigger. I am not sure if I created the flow correctly. In the above blog you say to ‘Create One text type variable RecordID (to pass a record ID from workflow via Flow Trigger).’ Can you provide the exact steps to do that as I might not be doing that correctly. I see that you can add an approval element in Flow in the coming Winter ’15 release. 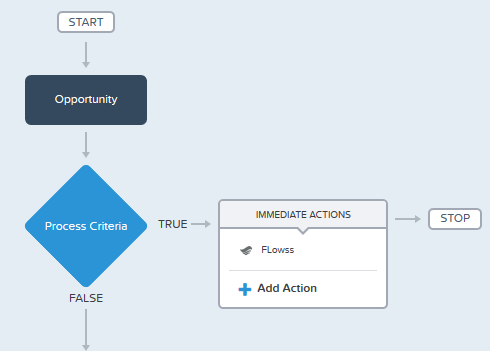 Is the workflow immediate action to run a flow also available in Winter ’15? I don’t see that option in my Workflows. 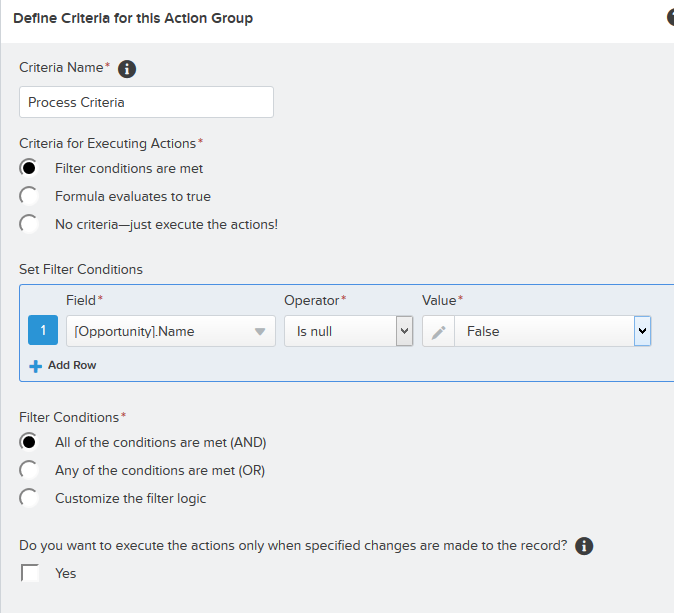 You are right submitting for Approval static action in Flow in the coming Winter ’15 release. No it’s still under Pilot program but they can be triggered via Apex. Could please share the video of this tutorial ? I dont see static action for Submit For Approval in Flow . It would be great help if you like to share further on this . Thanks in advace. This feature under pilot program #safeharbor. If your organization wants to use this feature ask your Account executive to contact Salesforce.com support. Thanks Rakesh, Could you please share a video tutorial for this . Sure, give me few days. Thanks Abrar! Which Salesforce instance you are referring ? Please make sure you Salesforce org upgraded to summer’14 and this feature under pilot program. Thank you for all your great tutorial and effort to share with us. I am not able to follow this as screen shot, can you make video tut for this plz. Thanks Ammy for your suggestion, I will try to post video soon. That’ll be awesome, you should make quick steps video for all your posts as you already have the detail explanation in the post. Is there anyway to contact you personally. ?